The History of Crete goes back to the 7th millennium BC, preceding the ancient Minoan civilization by more than four millennia. The Minoan civilization was the first civilization in Europe and the first, in Europe, to build a palace. After the Minoan civilization was devastated by the Thera eruption, Crete developed an Ancient Greece-influenced organization of city states, then successively became part of the Roman Empire, the Byzantine Empire, the Venetian Republic, the Ottoman Empire, autonomous state, and the modern state of Greece. Crete is exceptional in many ways. It is the largest Greek island, has the most diverse mix of landscapes, and stands far to the south of most of the rest of the country. Bits of it are reminiscent of other parts of Greece, but on the whole it stands alone and has its own unmistakable culture and atmosphere. The north coast of the island is the most populated area, and most well known. Heraklion (or Iraklion) is the island’s capital and main entry point. A working city, it can be off-putting at first, but it has a world-class museum. Rethymnon and Hania to the west are much more pleasant and retain a distinct Venetian influence. 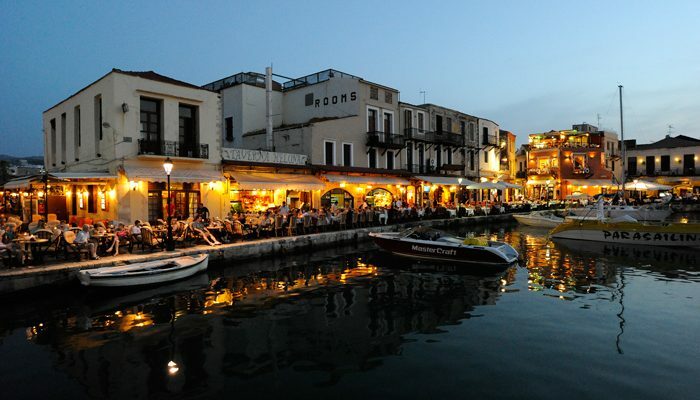 To the east is a well known city Agios Nikolaos. The best experience ever. Would recommended it to everyone.